In the first reported first use of CRISPR/Cas9 genome editing to study gene function in developing human preimplantation embryos, researchers from the U.K. and South Korea have applied the technology to target the POU5F1 gene, which encodes the pluripotency transcription factor OCT4 during embryogenesis. 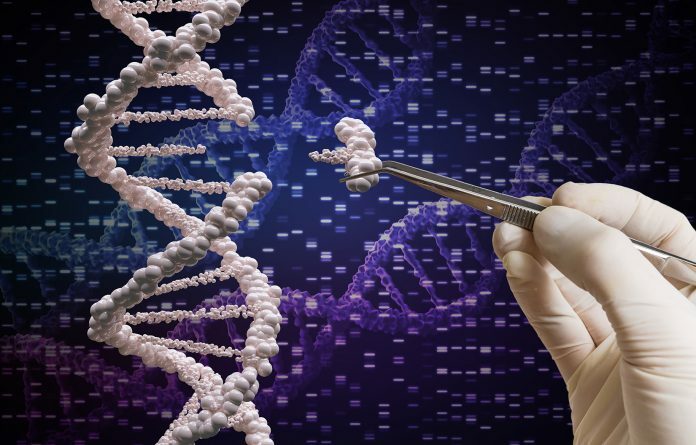 With this development work complete, the team then applied the refined CRISPR/Cas9 genome-editing technology to target POU5F1 in 41 previously frozen human zygotes that had been donated for research by couples who had undergone IVF. The study was carried out under license from and oversight by the U.K.’s Human Fertilisation and Embryology Authority (HFEA), which oversees infertility treatment and research. Another key finding was that preventing OCT4 production has very different effects on mouse and human embryo development. “Unexpectedly, our data suggest that OCT4 may be required earlier in human development than in mice, for instance, during the cleavage or morula stages, when OCT4 expression is initiated,” the researchers write. Dr. Niakan commented: “The really fascinating thing for us is that when we look at a control blastocyst compared to one in which we have inactivated OCT4, we see that there is an effect on those 20 so-called epiblast progenitor cells…the precursors of what will eventually become the embryo. That’s different to model organisms, such as the mouse. So we would have never gained this insight if we had not studied the function of this gene in human embryos, and that tells us that there may be important differences in the pluripotency, potentially between these species. “The other important thing that we found is that we see not only an effect on those 20 cells, but also on the precursor cells of the placenta, and that is completely different to the mouse,” Dr. Niakan added. The researchers more fully describe the consequences of OCT4 loss on embryo gene expression, in their published Nature paper. “We were surprised to see just how crucial this gene is for human embryo development, but we need to continue our work to confirm its role,” commented Norah Fogarty, Ph.D., from the Francis Crick Institute, who is lead author of the paper. “This proof of principle lays out a framework for future investigations that could transform our understanding of human biology, thereby leading to improvements in the establishment and therapeutic use of stem cells and in IVF treatments,” the authors conclude. Dr. Vallier’s laboratory played a critical role in testing the genome-editing technologies in human embryonic stem cells and optimizing the genome-editing technology in vitro.